We are proud to announce the launch of our newest product, Regenesis UL. UL, stands for “Ultra Low”. The new product contains the same great magnesium chelate blend as our other products, but also includes vitamin K2-MK4 at only 100 micrograms per capsule. Such a dedicated low-dose MK4 capsule is unique in the marketplace. It is intended for those that are either sensitive to MK4, or want to start using vitamin K2-MK4 in a very conservative way as the body acclimates. Many users, especially those over age 65, find that starting with a low MK4 dosage and gradually raising it, allows them to very gently boost their calcium and natural anti-inflammatory metabolisms while minimizing side effects. This level of control and convenience over MK4 dosage allows the user to easily, but steadily, move through any initial transitory changes. K2-MK4 initiation symptoms, such as insomnia, diarrhea, constipation, or temporary increases in joint aches and pains, often precede the beginning of the healing process for many chronic inflammatory conditions caused by low level fat soluble nutrient deprivation. We hope this product will appeal to many, such as have contacted us, regarding their sensitivity issues with MK4. 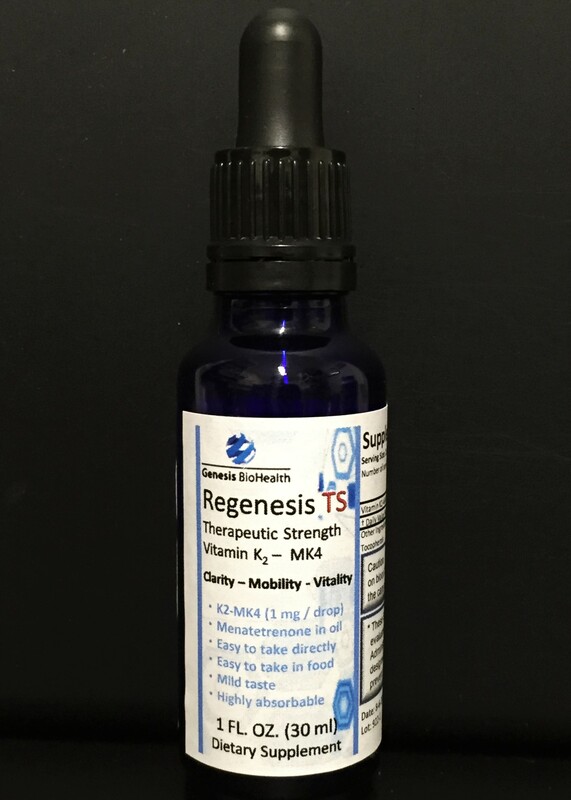 Please take a look at “Regenesis UL“, from Genesis BioHealth!